Taguig Gamers are creating Community, Videos, Discord Server, plenty more. 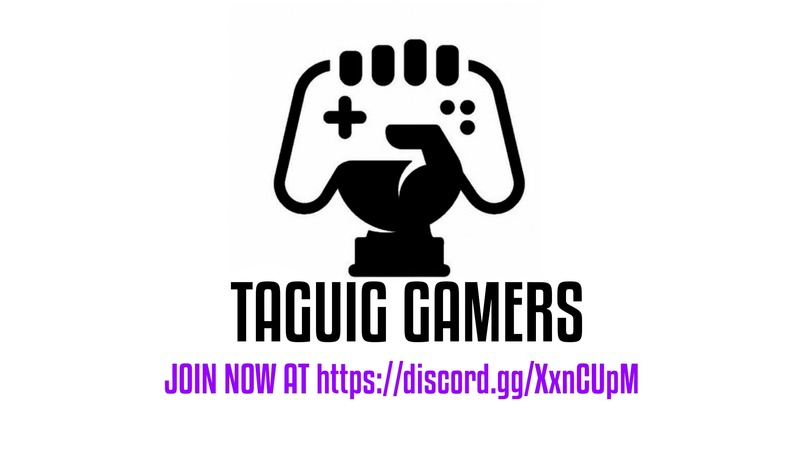 Taguig Gamers is a growing community server that you can join to chat and talk with friends, we accept all kind of Filipinos. Stay with us, and enjoy. Specifically, we are building a Discord server that will connect all Taguig Gamers to be closer and more active with one another. You can join us at https://discord.gg/XxnCUpM. The Sign up is easy, and the first 100 members will get Casual Roles. -No spamming any unwanted content. -In a voice channel, try to be friendly and don't randomly interrupt others. -No advertising except when it's an invite to your game and this Discord. -No self-bots or other than this Discord's bots. -Only use bot commands on the #bots in the Bots Commands category. DJ - given to persons who can play some good music. Artists - given to individuals who posts drawing in the #art. Singers - given to individuals who can sing in the Karaoke section. Patrons - People who donated atleast 1$ will get this role. It will have exclusive benefits that is unique only to them. -Access to lobby with Direct access to Admin. -Can be @Coding Staff if they want, a special role that manages almost about everything. -Higher than Demi-God Role, which is the highest obtainable role. When we reach 500 Patrons, Taguig Gamers will use it to further increase the Discord Server and continue to make it better.